From The New York Times we learn that chipping sparrows love their neighbors, but only if they are weaklings. Male intruders can invade and take over another bird’s territory and strong invaders are usually the winners. 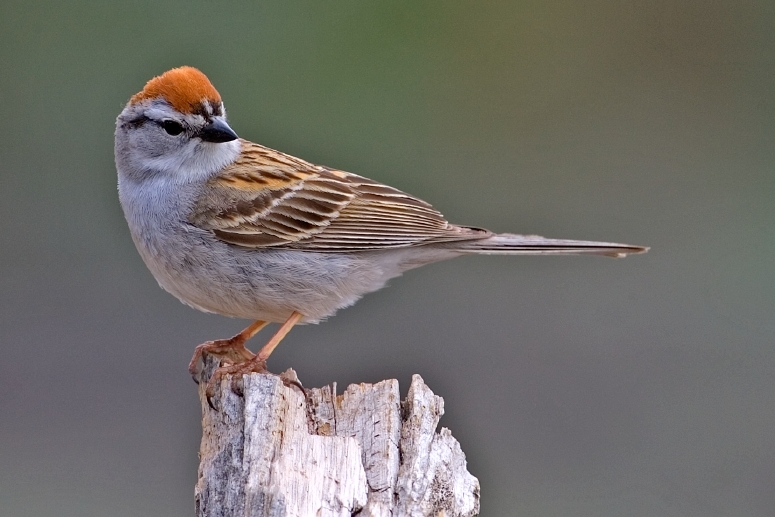 Male chipping sparrows will form a neighborhood coalition to defend their territories, but apparently only if the intruder is weaker. And how do they know this? By the intruder’s song. If the intruding sparrow’s trill is weaker, i.e. slower, then that bird is less aggressive. A faster trill indicates a strong invader. Stick to those music lessons, little chippers! This entry was posted on June 6, 2014 at 10:57 am and is filed under Avian Reproduction, Bird behavior, Bird brains, Bird research, Birding, Evolution. You can follow any responses to this entry through the RSS 2.0 feed. You can leave a response, or trackback from your own site.